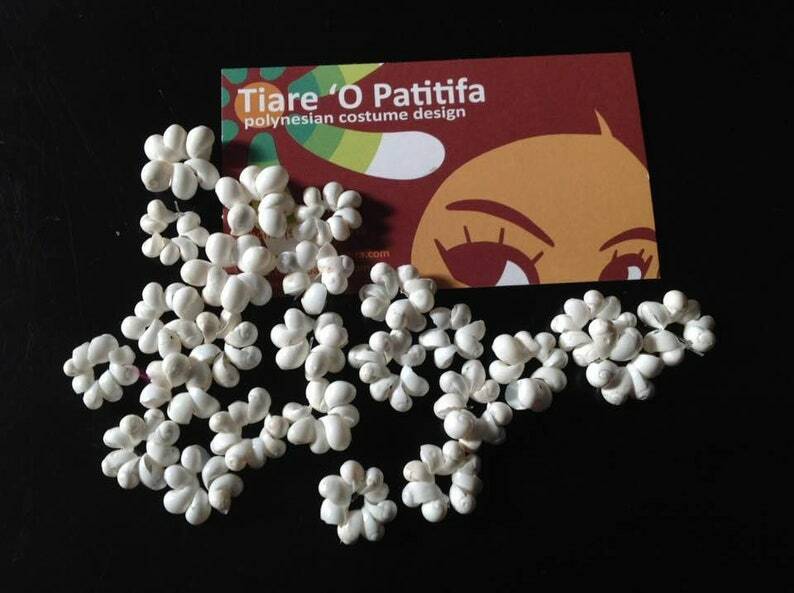 These are perfect to make lei's, costumes etc. You will receive 25 pieces of white mongo shell rings . All items are natural, no two items are the same. There will be slight differences in size, shape, coloring and pattern. All sizes are approximate. The shells supplied are commercial grade so there may be slight imperfections shells. These are very little white shells strung with nylon/fishing line and tied to make a ring. 2"-2.5" TELESCOPE SEA SHELLS. Cut Telescopium Auger Center. Authentic Trimmed tapa cloth pieces. For making neck piece , headpiece, etc that only requires a small amount of tapa cloth pieces. Authentic Black Fresh Water Pearls. Measures Approximately 7 mm - 10 mm. You Will Receive 20 Pearls. Good for making Jewelry,costumes, etc. Feather Neckpiece Or Choker. Choose Any Color Of Feathers! 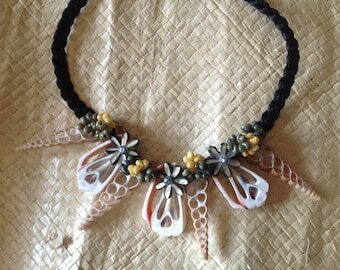 Perfect For Tahitian And Cook Islands Dancers, Luau, Groups Or Beach Wedding!! Floral Scrunchie Tube Top..Any Print Color As Listed..Perfect For Any Polynesian Dancers, Beach, Or For Summer..
Sea shells necklace. perfect for girls of all ages. Costume Set. Tahitian & Cook Islands/Rarotongan Set. Perfect For Children And Adult. Mother Of Pearl Shell Belt. CLEARANCE!! !! Light solid purple. All sales are final!